The National Security Service (NSS) of Armenia has disseminated information on detention of an armed group in Yerevan. Earlier, photo reporter Gagik Shamshyan reported that the group was preparing a terror attack in Yerevan. According to the NSS press office, an organized criminal group that pursued a series of heavy crimes in Armenia was disclosed. According to the information, a former resident of Yerevan Arthur Vardanyan, living abroad, set up and managed a criminal group as soon as he arrived in Yerevan in 2015. By preliminary arrangement, the organized group illegally acquired weapons and ammunition and stored them at a private house in Nork Marash, an administrative district in Yerevan. On November 25, the Armenian Police and NSS searched the house and found various types of rifles, pistol guns, grenade launchers (including Mukha type), grenades, explosives, means of communication, ammunition, military uniforms, including armored jackets. At the moment of the operation, nine members of the group led by Vardanyan were in the house: all were detained. 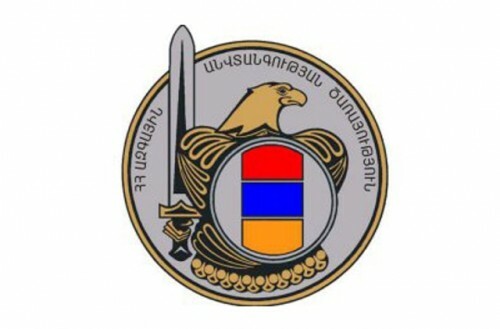 Investigative Department of the Armenian National Security Service instituted a criminal case based on Article 223, Parts 1 and 2, and Article 235 Part 3 of the Criminal Code of the Republic of Armenia (formation or management of a criminal gang. Participation in a criminal gang. Illegal acquisition, sale, storage, transportation or bearing of firing arms (except smoothbore firing arms and shell for them), ammunition, shell, explosives by an organized group). Preliminary investigation is underway. According to EADaily’s data, the group could plan actions to destabilize the domestic situation in Armenia ahead of the December 6 Constitutional Referendum that pursues a shift to the parliamentary system of governance.